Royal Society equipment grant – The first success! This entry was posted in News on 13 May, 2014 by Stephen. This lab was about fostering Creativity, Idea Generation and Cross-Disciplinarity. We got to see some ground-breaking and innovative research mixing the boundaries between physics, biology, ecology and even literature. The dinner at the Old Course was a fantastic opportunity to meet new people as was the Science Speed Dating! This entry was posted in News on 10 May, 2014 by Stephen. Thoroughly enjoyed heading to The University of Warwick for this conference. It was an excellent opportunity to meet up with inorganic chemists from across the UK and the plenary speakers are world-leading international scientists (Ingo Krossing and Kit Cummins). I had an excellent slot on the first day kicking off the Coordination and Organometallic Chemistry Group meeting and the lecture theater was huge! Had a chance to catch up with old supervisors and friends and hopefully made some new contacts as well. This entry was posted in News on 25 April, 2014 by Stephen. Although only introduced recently, the concept of publishing an article based on a discussion between key-academics is really interesting as it allows much more of a discussion to science than traditionally printed articles. A few key points really stood out (http://pubs.acs.org/doi/pdf/10.1021/om500253z) such as “it would be useful to develop arrays of catalysts that can operate in a cooperative manner, via appropriate regulatory mechanisms that allow turning the catalysts on and off” and “that researchers should seek to catalyze new and different reactions.” Always good to see your own papers mentioned too! (7) (a) Arnold, P. L.; Turner, Z. R.; Bellabarba, R. M.; Tooze, R. P. Chem. Sci. 2011, 2 ,77 − 79. (b) Mansell, S. M.; Kaltsoyannis, N.; Arnold, P. L. J. Am. Chem. Soc. 2011 , 133 , 9036 − 9051. (c) Mansell, S. M.; Farnaby, J. H.; Germeroth, A. I.; Arnold, P. L. Organometallics 2013, 32 , 4214 − 4222. This entry was posted in News on 14 April, 2014 by Stephen. Image © Scottish Parliamentary Corporate Body – 2012. Take home message: be accurate, short and to the point in order to make your research user friendly! This entry was posted in News on 11 April, 2014 by Stephen. I had a really great time yesterday attending the first day of the Scottish Crucible. I met lots of great young researchers and got some fantastic advice from science journalists; Vivienne Parry, Sue Armstrong, Stuart Blackman and Olga Wojtas. The dinner at The Royal Society of Edinburgh was great fun and gave me a fantastic opportunity to chat to the movers and shakers. Today: The Scottish Parliament! Excellent course yesterday on Science communication presented by Tom Pringle (aka ). Looking forward to using a few ideas to help make my presentations more interesting to children, students and academics alike (although I won’t be using the same techniques on them all!). This entry was posted in News on 21 March, 2014 by Stephen. Spoke at the Scottish Dalton conference and it is always great to go to St. Andrews when it is sunny! Got a good response from my talk and it was an excellent opportunity to meet up with old friends from the University of Edinburgh. I also got to know a few more people who are doing great things in inorganic chemistry throughout Scotland, and this even included a few of the northern universities as well such as Leeds, Durham and Newcastle! It’s Friday but I’m looking forward to next week. I’m talking at the Scottish Dalton meeting which brings together inorganic chemists from all over Scotland and this year we’re meeting in St. Andrews which is always a nice place to be on a sunny day! The day after I’m attending a course presented by none other than Dr Bunhead so expect more flashiness and Mintos-based explosions when I return. This entry was posted in News on 14 March, 2014 by Stephen. How will the Curriculum for Excellence be implemented by different schools? Will there be a choice of taking three science subjects or will certain schools be limited to two or even only one? A survey is currently being carried out by the RSC to determine this so stay tuned! 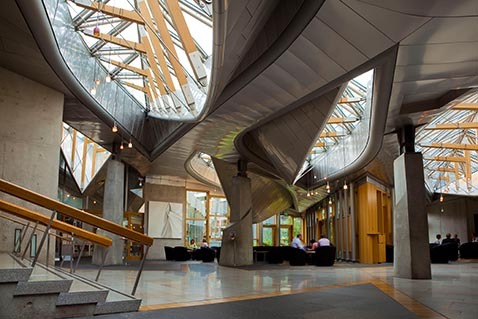 How will the vote on Scottish Independence affect science both in industry and academia? Here several reports were mentioned so I will need to trach these down. Again, stay tuned! This entry was posted in News on 21 February, 2014 by Stephen.